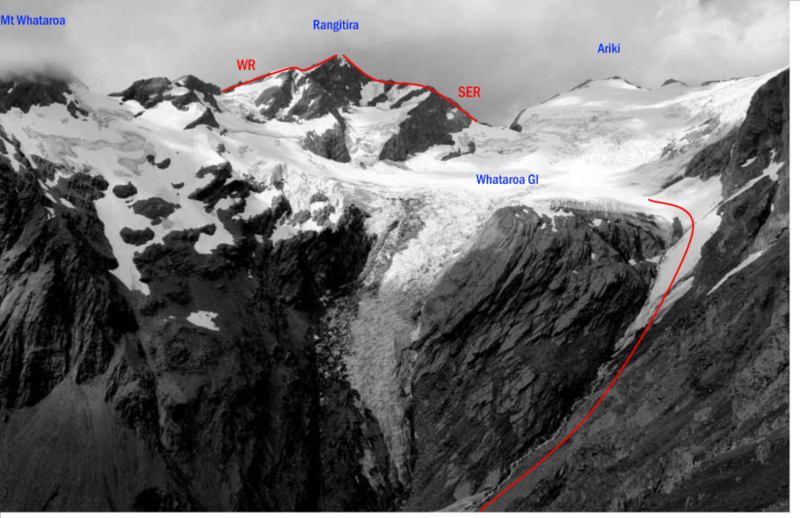 From Ice Lake, access the upper Whataroa névé via the gully on the true left and cross the névé to the base of the ridge, which is made up of steep, loose and rotten schist, with rock stacks in places. This is all negotiable but requires care and pitching in a few places. The first ascent party used a rope most of the way. A straightforward climb from the Whataroa Glacier.